DOWNINGTOWN, Pa. – Victory Brewing Company is kicking off 2019 with the launch of new and exciting products, coupled with refreshed packaging that symbolizes the evolution of one of Pennsylvania’s most-loved breweries. Celebrating 23 years on February 15, the brewery will welcome a wave of innovations and a creative look inspired by Victory’s storied beer brands. Two childhood friends, Bill Covaleski and Ron Barchet, opened Victory Brewing Company in 1996, when the craft beer industry was just emerging in Pennsylvania. With iconic brands like Prima Pils and Golden Monkey, Victory remains a pioneer in craft. “Since the beginning, Ron and I pushed to stay on the front edge of innovation. Coming into 2019, we took a critical look at our business and found some opportunities to communicate the brand to new generations of craft drinkers through both product innovation and design. We are really excited to get these new beers to the market and for our fans to see our new look,” Covaleski said. 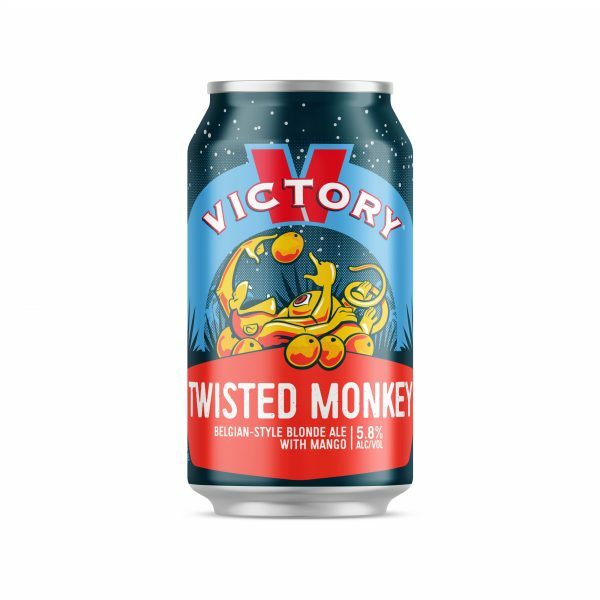 Victory’s innovation, releasing in February, will include three new year-round offerings: 1) a Golden Monkey brand extension called Twisted Monkey, 2) a new every day IPA, No Brainer IPA and 3) an on-trend New England Style IPA, Cloud Walker Hazy Juicy IPA. No Brainer IPA: Victory has a legacy of creating innovative takes on the exploding IPA style. The IPA lover now has so many options when choosing where to turn for their next IPA that the buying decision can be a chore. With No Brainer IPA, Victory makes the choice easy and lets the consumer focus on enjoying a great tasting IPA. That is because No Brainer IPA is the result of two years of development and multiple consumer tests. The innovative beer uses Victory’s proprietary HopVic technology with fruity and citrusy hops to deliver notes of tangerine and mandarin orange. Victory has invested a lot of time and resources to take the confusion out and making it a no brainer choice for IPA fans. Cloud Walker Hazy Juicy IPA: Since its limited draft release in November, 2018, Victory fans have rejoiced in Cloud Walker’s pillowy soft mouthfeel and orangey glow. Victory’s take on the hazy, juicy New England IPA style combines unique brewing techniques that ensure stability and consistency. With a load of special ingredients that create a pleasant mouthfeel amplified with juicy hops like Citra and Mosaic, this IPA bursts with fruity and citrusy flavors and is a hop-lover’s dream. These three offerings will be launched in new packaging that contemporizes the look, while making it easier to shop. The packaging aims to bring consistency to the Victory brand so that it’s easier to find on today’s crowded craft shelves. 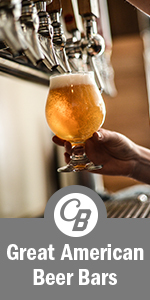 The packaging clearly provides key information consumers now want in order to make an easy decision when choosing a craft beer including, tasting notes, clear style details, ingredients and specifications, like ABV and IBUs. It also provides insight into the stories behind the genesis of each beer. Find Victory’s new packaging and innovations at retailers near you by exploring its Beer Finder at VictoryBeer.com/BeerFinder. Twisted Monkey, No Brainer, and Cloud Walker will be available at Victory Taprooms in Pennsylvania and North Carolina mid-February, reaching stores throughout the country in late February. Victory favorites like Golden Monkey, Sour Monkey, Prima Pils and Summer Love will start to hit stores and shelves with their new look starting late March through summer and beyond. Follow Victory on social media at @VictoryBeer for updates and join the brewery in celebrating life’s everyday wins with #RevelRevel. Headquartered in Downingtown, PA, Victory Brewing Company is a craft brewery founded by Bill Covaleski and Ron Barchet. In 1996, Victory opened its doors to serve full-flavored, innovative beers putting curiosity and inspiration from their travels and the world around them into each delicious, high quality beer. By 2014 Victory outgrew the original Downingtown brewery and opened a second brewery in Parkesburg, PA. Victory operates three taprooms; the Downingtown site, Victory at Magnolia in Kennett Square and Parkesburg featuring self-guided brewery tours. In February 2016, Victory announced an alliance with Southern Tier Brewing Company under the partnership platform of Artisanal Brewing Ventures. In November 2018, Sixpoint Brewery joined Artisanal Brewing Ventures. Victory products are distributed to nine countries, over 30 states across the US, plus Washington, DC and Puerto Rico. To learn more about Victory Brewing Company please visit www.victorybeer.com.